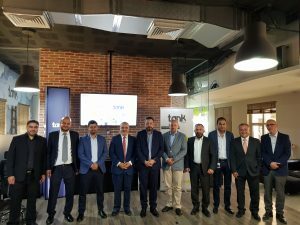 Umniah Company, which is a leading Telecom Services Provider in Jordan, has signed a Memorandum of Understanding (MoU) with Qatar Mobility Innovations Center (QMIC), based at the Qatar Science and Technology Park (QSTP), in a move to strengthen its commitment towards enhancing its business incubator, The Tank, and to provide high quality Internet of Things (IoT) based solutions and platforms. The MoU was signed by Umniah’s CEO Ziad Shattara, and QMIC’s CEO Dr. Adnan Abu-Dayya, in the presence of a number of officials from both sides. The MoU will allow The Tank incubator program of Umniah to take advantage of Labeeb-IoT & other Cloud Computing platforms across multiple domains, as well as conduct extensive training sessions for startups and business leaders benefiting from the incubator program. Labeeb-IoT is one of the first comprehensive IoT platforms developed in the region and was launched by QMIC in 2016 and is gaining market acceptance regionally and globally. The Labeeb IoT platform will make it easier and faster for Entrepreneurs and Enterprises to develop and deploy IoT solutions and services. The platform collects various data from sensors and enables users to conduct actions and develop services based on sensor data. Start-ups and entrepreneurs can benefit from the services offered by the platform in healthcare, transportation, in addition to smart homes and cities, smart energy management, agriculture and industry. “We are proud to partner with Qatar Mobility Innovations Center, which is one of the leaders in Internet of Things solutions and platforms, and we hope that our partnership will expand in the near future to serve the interests of Jordanian start-ups and entrepreneurs in the Kingdom.” Shattara added. Doha: In an effort to extend its commitment to providing the best services and solutions in the field of Internet of Things (IoT), Qatar Mobility Innovations Center (QMIC) signed a Memorandum of Understanding with International French-based technology provider Sagemcom. 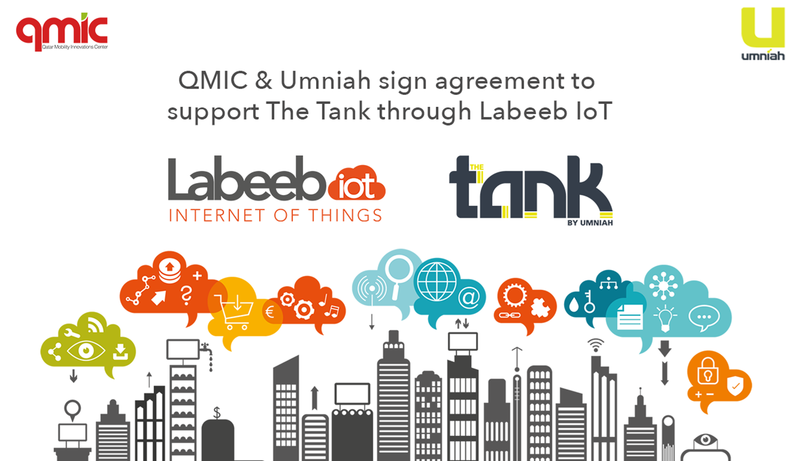 This MoU sets forth an elaborative framework of co-operation between the two entities to deliver comprehensive IoT solutions on a global scale, take advantage of QMIC’s comprehensive Labeeb IoT platform across multiple domains, and utilize Sagemcom extensive Low Power Wide Area Network (LPWAN) IoT portfolio of LoRaWAN™ solutions, branded under SICONIA™, such as multi-sensors devices, Gateways, network server, and Geolocation solver, to name a few. QMIC has been deeply involved in shaping the local and regional IoT market over the past years. Due to its expertise across different sectors and fields. Labeeb IoT, in specific, serves as an innovative IoT platform for entrepreneurs, enterprises and cities, the first of its kind in the Middle East. It already delivers several applications targeting Smart Cities and Industrial IoT segments.Sagemcom is an innovative and well-recognized international leader in the industrial Smart City, and Smart Nation market, thanks to its combination of Smart Metering, Smart Infrastructure solutions, and its full end-to-end IoT Low Power Wide Area Network (LPWAN) products portfolio, ranging from infrastructure solutions, such as Carrier-Grade Gateways enabled for Geolocation, LoRa™ Network Server (LNS), Geolocation Solver, in addition to small and cost efficient Multi-usage IoT devices. “This promising collaboration reinforces Sagemcom’s vision and strategy of the LPWAN IoT for addressing MENA region, enabling fast, flexible and cost efficient deployments on many different industrial market verticals. 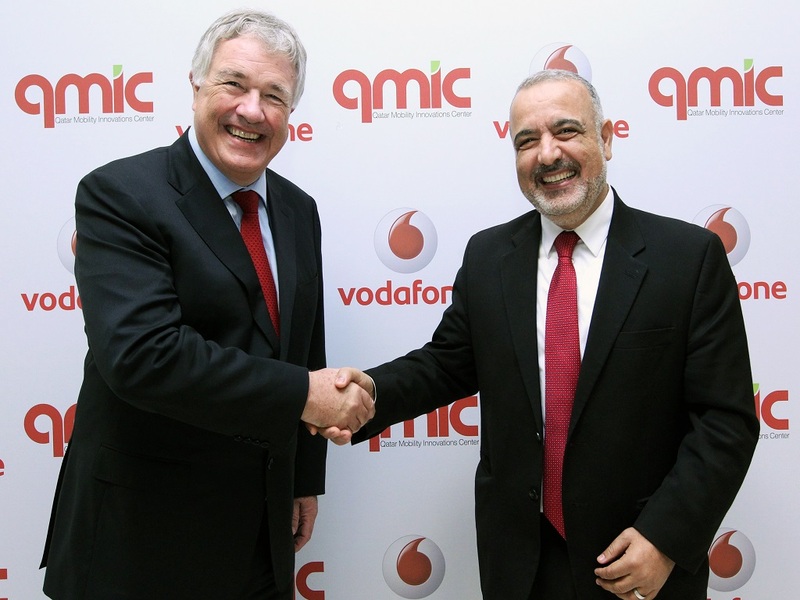 Tightening partnership with such well recognized institution as QMIC is part of our strategy for strengthening our footprint in Middle-east, by listening and adapting to the local needs.” says Eric Rieul, CEO of Sagemcom Energy & Telecom. 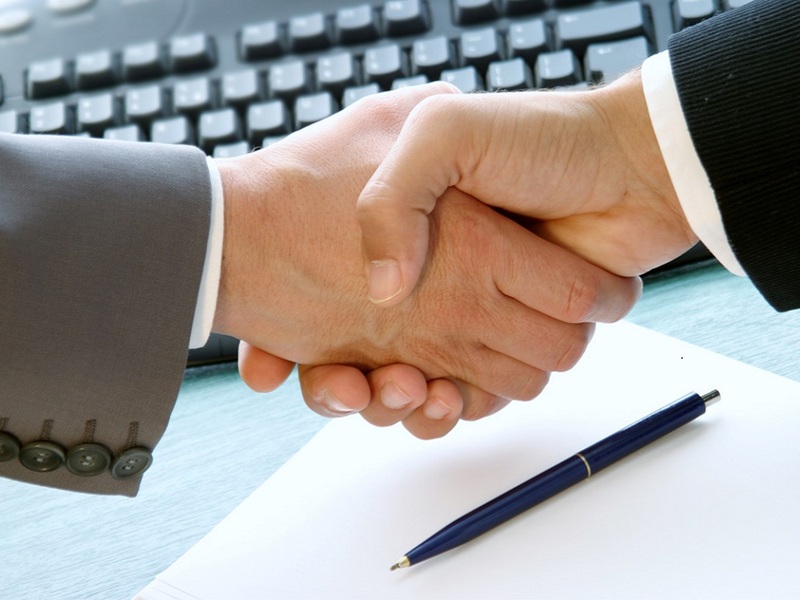 QMIC and Sagemcom will work hand-in-hand through utilizing their expertise in the field of IoT. 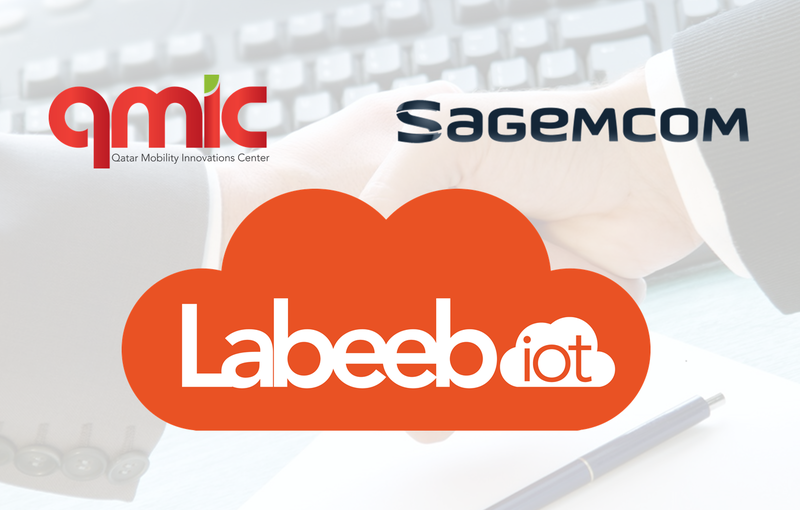 Labeeb IoT supported by Sagemcom’s leading technology will establish an unprecedented advancement towards reaching and establishing global platforms and solutions. Moreover, both entities will play their part in enhancing and assisting the development of the IoT environment by supporting and engaging with IoT-focused bodies, innovation hubs and entrepreneurs’ communities as well as others who are interested in this rapidly growing field. The Qatar Mobility Innovations Center (QMIC) is the first independent innovations center in the region with a focus on developing and deploying smart mobility systems and services. QMIC’s main goal is to use locally engineered innovations and knowledge to create technology-based industries that address regional challenges and grow with mega projects in Qatar and the region. Since 2009, and through its focus, on distributed sensing, data collection & management, services creation and delivery, QMIC is becoming a national leader in the area of Internet of Things (IoT). In particular, QMIC has been leading in delivering IoT platforms, and IoT solutions and services in vertical domains including Intelligent Transport, Logistics & Telematics, Road Safety and Environment. Through its offices at the Qatar Science and Technology Park (QSTP), QMIC is working closely with key national partners and stakeholders to realize a market-focused innovations ecosystem in Qatar. A French high-tech group of international dimensions, Sagemcom operates on the broadband (digital home, set-top boxes, Internet routers, telephony and multimedia terminals), smart city (smart meter, smart grid, smart infra, smart sites and smart services), and Internet of Things markets. With revenue of around 1.8 billion euros, Sagemcom employs 4000 people on five continents and ships every year more than 30 million terminals. Sagemcom aims to remain a world leader in communicating terminals with high added value. 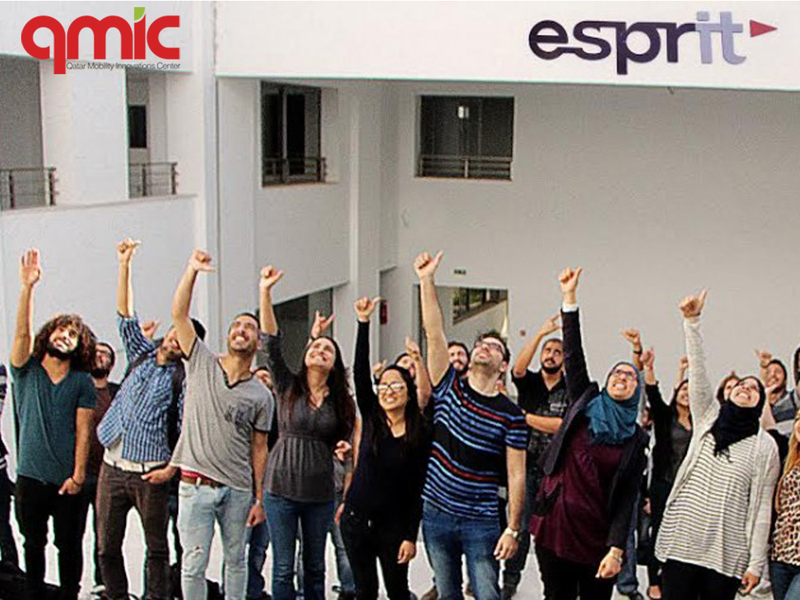 ESPRIT, a Tunisian school of engineering with multiple disciplines and different educational entities, and the Qatar Mobility Innovations Center (QMIC) at the Qatar Science and Technology park have signed a Memorandum of Understanding (MoU) for ESPIRIT to adopt QMIC’s Labeeb IoT platform and to provide the platform as a service for its students and startups in support of IoT related academic courses and projects. .
Labeeb™ IoT is an Internet of Things applications enablement platform which has been developed by QMIC and initially launched in March 2016. The platform together with an extensive set of development kits and enablers will play a significant role in enabling developers, startups and enterprises to develop and deploy new IoT services and applications that serve different vertical markets quickly and at a lower R&D cost. As part of the agreement, ESPRIT will be using Labeeb™ IoT platform in its IoT related programs and will work with QMIC on specific use cases that can lead to commercial solutions to the benefit of both parties. The Labeeb IoT platform can facilitate the collection and storage of data from any object (or device), translate the data into actionable insights, and enable delivering a wide range of IoT services to various market segments like smart homes, healthcare, utilities, smart cities, and many other verticals. In addition to the platform, the Labeeb IoT initiative provides different SDKs (software development kits), an application development environment, and online and customized training to facilitate the development of IoT services and to eventually create a community of developers and adopters of IoT services in the MENA region. The school of engineering “Esprit”, French acronym for “École Supérieure Privée d’Ingénierie et de Technologies”, was founded in 2003, and, in 2013, it got its engineering programs accredited by the CTI (Commission des Titres d’Ingénieur) and then awarded the EUR-ACE (EURopean ACcredited Engineer) Label, a certificate that reflects the highest quality in Engineering education. ESPRIT has built its reputation on excellence in Tunisia and in several sub-Saharan African countries; a stature undeniably bolstered by its close partnership with the business community and foreign universities. Esprit has adopted an original pedagogical approach named “Project/Problem Based Learning” and is member of an international initiative launched by Harvard and MIT named CDIO (Conceive Design Implement Operate). Esprit has also a Research & Development (R&D) Division, named Esprit-Tech, where various projects are undertaken under several advanced themes such as IoT, cloud computing, Pervasive computing, Sensors network, etc. Qatar Mobility Innovations Center (QMIC) announced the launch of the first Internet of Things (IoT) platform that was ever developed in Qatar and the region (Labeeb™ IoT). The announcement was made during a press conference hosted at QMIC’s offices at the Qatar Science and Technology Park and which was attended by QMIC’s senior staff and a number of local media organizations. The Labeeb IoT platform together with an extensive set of development kits and enablers will play a significant role in enabling developers, startups and enterprises to develop and deploy new IoT services and applications that serve different vertical markets quickly and at a lower R&D cost. Although the platform and its associated enablers are initially targeting research centers, entrepreneurs, and startups in Qatar and the Region, it can equally serve international markets from this stage and will be expanded later this year to focus on the important enterprise and the government sectors. QMIC has been working in the area of IoT since its inception in 2009 as its original business plan was focused on collecting sensor data wirelessly and translating such data into services and applications that serve the need of different market segments such as transportation, health, utilities, etc. Subsequently, QMIC established market leadership by developing and deploying its own IoT services in the area of intelligent transport (Masarak™), road safety (Salamtek™), and environment (Hawa’ak™). Using such expertise and experience, QMIC decided to develop and launch an IoT platform that can be used by third parties to develop their own services and applications. This innovations strategy of QMIC proved to be timely as the IoT is becoming one of the mega trends that will shape most industries in the coming few years. Hence, most industry analysts expect the impact of IoT to reach 4-11 Trillion dollars per year by 2025. This impact will be realized through a combination of improving efficiency and productivity and through the introduction of new services and business models. On this occasion, Dr. Adnan Abu-Dayya, the Executive Director and CEO of QMIC said ”As the oldest regional start-up in the important area of IoT, we are very pleased to announce the availability of our Labeeb IoT platform and development tools; the first locally developed platform in the region. This is a key element of our enablement strategy where we want to enable local entrepreneurs, startups, researchers, and enterprises to play a bigger role in realizing the IoT business potential and in creating local digital businesses in the process of doing so. We are equally excited by the international dimension of this platform as it can be offered to global users as well. The launch today culminates few years of effort by our team at QMIC, and represents a milestone towards expanding the Labeeb IoT portfolio to allow monetization of IoT services and adding key enablers that support the needs of specific vertical markets”. Dr. Abu-Dayya continued to say “We have been engaged in discussions with many potential partners in Qatar and we are encouraged by the level of interest and excitement that we have seen. Furthermore, we are pleased to report that many strat-ups, research teams, and individuals have already started using the current verion of Labeeb IoT to realize their innovative ideas and build their own IoT products and services”. The Labeeb IoT platform can facilitate the collection and storage of data from any object (or device), translate the data into actionable insights, and enable delivering a wide range of IoT services to various market segments like oil & gas, healthcare, utilities, smart cities, and many other verticals. In addition to the platform, the Labeeb IoT initiative provides different SDKs (software development kits), an application development environment, and online and customized training to facilitate the development of IoT services and to eventually create a community of developers and adopters of IoT services in the region. The Labeeb IoT initiative will be used to set up an IoT Smart Living Lab which will allow QMIC and its partners to lead the industry in realizing the full potential of IoT technologies.